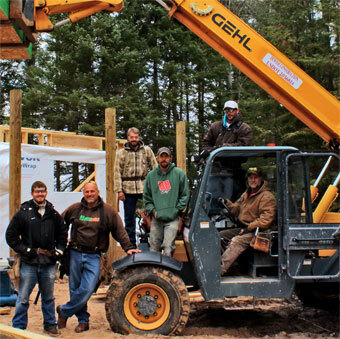 Welcome to DeWyse Construction, Inc. We are your Upper Peninsula Home Builder. Located in Downtown Engadine, Michigan, DeWyse Construction, Inc. can help you make your building project a reality. Our commitment to uncompromising integrity and quality will give you a project that is an investment that appreciates with age. At DeWyse Construction, Inc. we have discovered, as you have, the beauty and serenity of living and vacationing in the Upper Peninsula of Northern Michigan. Having re-located here from Bay City, Michigan 30 years ago to enjoy those benefits ourselves, we are also familiar with the challenges of the Upper Peninsula, including lack of access to the professionals and resources that we have come to expect as a part of our modern lives. 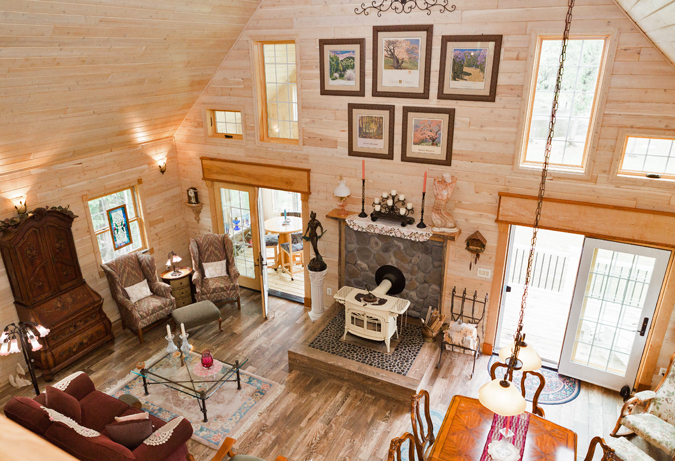 Located centrally in the Upper Peninsula, DeWyse Construction, Inc. has filled a void in the area of professional, high-quality construction expertise to meet your building and remodeling needs for your home, cabin, or local business. Learn more about DeWyse's General Contractor Home Builder Services. 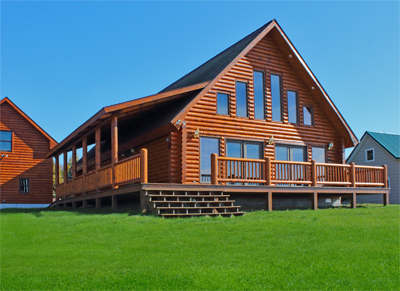 Learn more about DeWyse's Log Homes Services. We are the Upper Peninsula Sauna Company, handcrafted and manufactured in the small town of Engadine, Michigan. 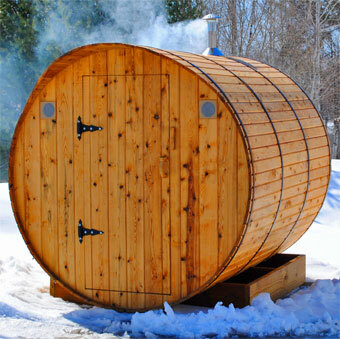 These unique, barrel style saunas are one of a kind and fit four adults comfortably. Our cedar product derives from our surrounding Upper Peninsula swamps. We are proud to say, "You won't find a Sauna similar to it!" Learn more about the Upper Peninsula Sauna Company. Seamless Gutters - Protect your investment with the best of the best products from DeWyse Construction, Inc.
We offer only the best products to ensure a long lasting gutter system that protects and survives Michigan's winter weather. DeWyse Seamless Gutters will put the finishing touches on your home and cabin. 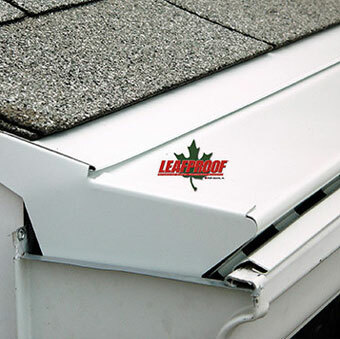 Learn more about seamless gutters and LEAFPROOF. Learn more about DeWyse Construction, Inc. 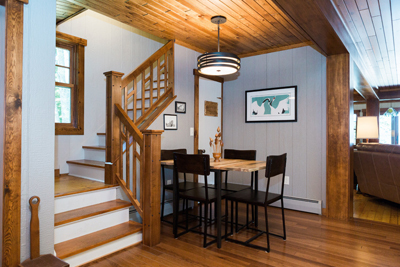 Located centrally in the Upper Michigan, DeWyse Construction, Inc. has filled a void in the area of professional, high-quality construction expertise to meet your building and remodeling needs for your home, cabin, or local business. If you're ready to talk to someone about making your project happen call us at: (906) 477-7377 and ask for Zeak, owner and project manager at DeWyse Construction, Inc. You can also use our "Request Information" page.